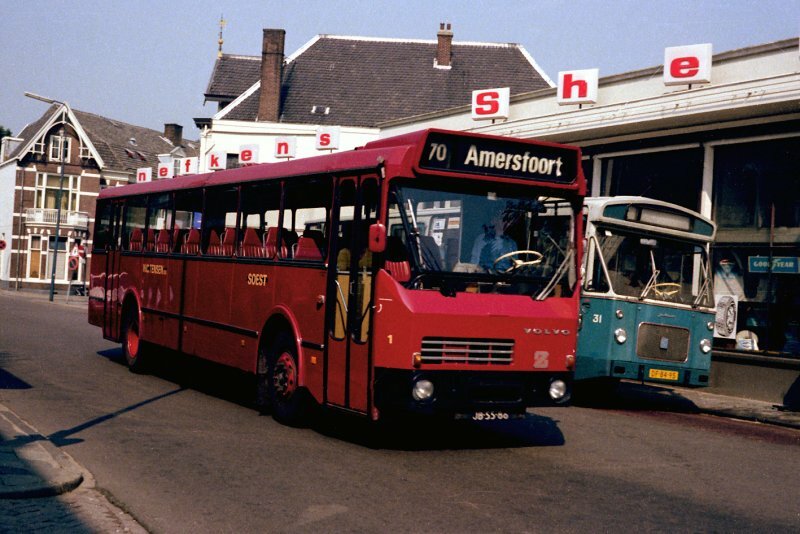 The existing bus service since 1921 Baarn-Soestdijk-Soest – Amersfoort of the entrepreneur Joh. 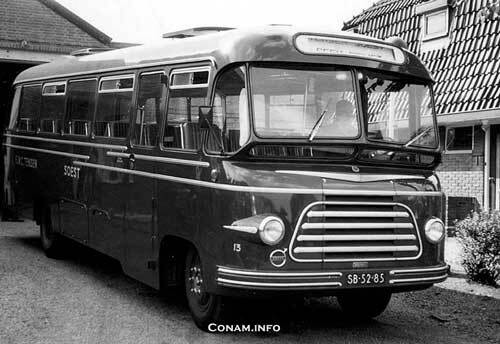 Gabela was 1 May 1930 ‘s by Willem Cornelis Tensen., along with J.C. Bruigom, retrieved. 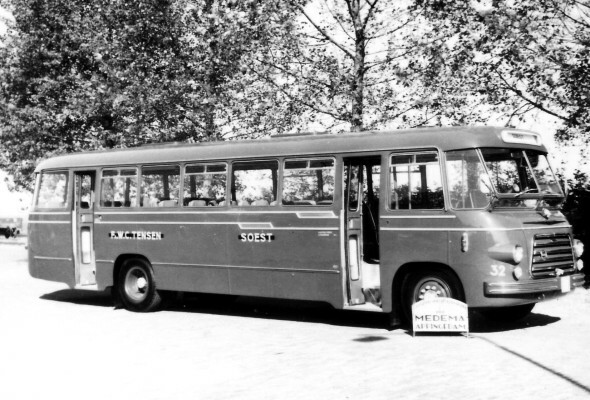 Already in March 1931 pulled Bruigom withdrew from the new company. There was soon a dark red color chosen. 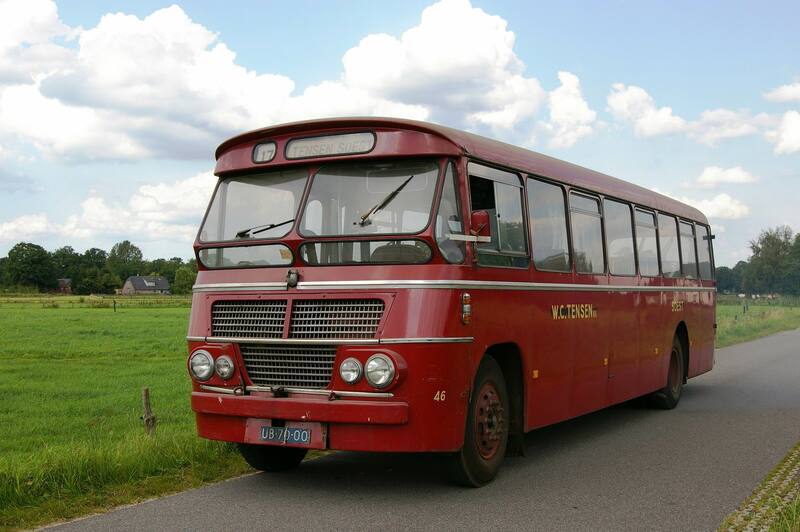 This color is to the corporate end in 1980 characteristic remained for the Tensen.-coaches. 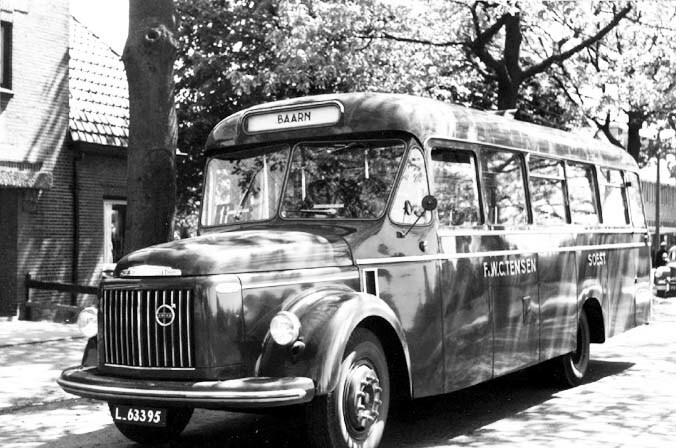 Buses starting from 1937 were virtually all of the Volvo. 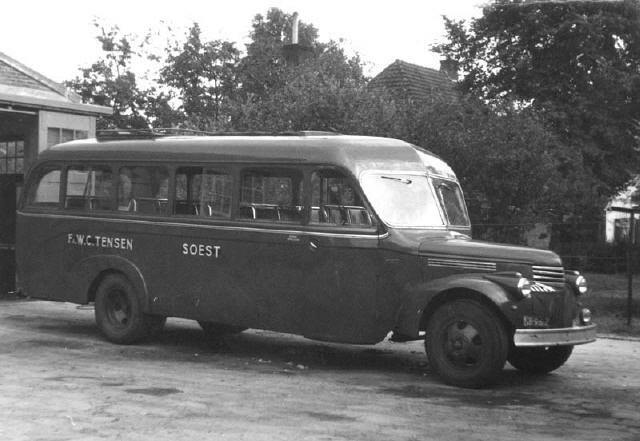 In 1932, a line on the route soestdijk-Soest – Soesterberg. 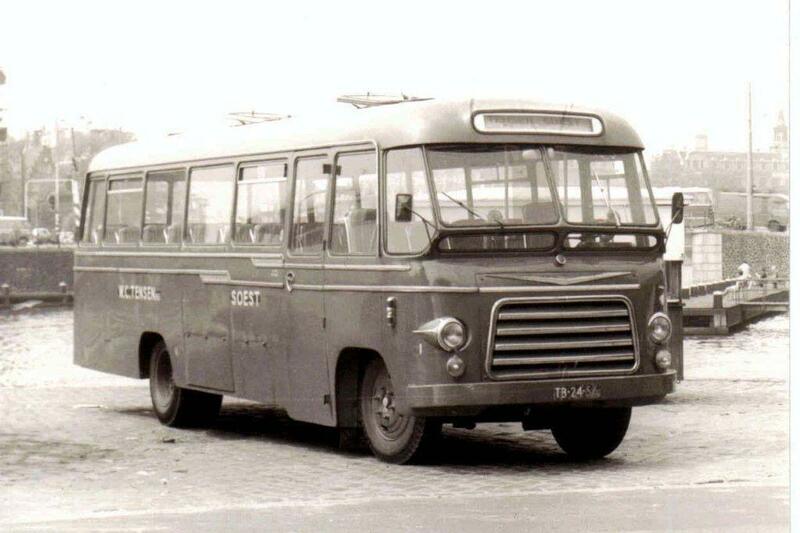 Here one could make the switch to the electric trams of the Zeist and Utrecht in the directions. 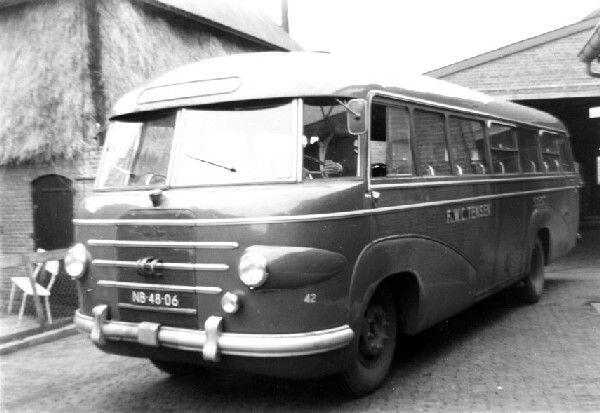 Later, this change to the coaches of NBM. 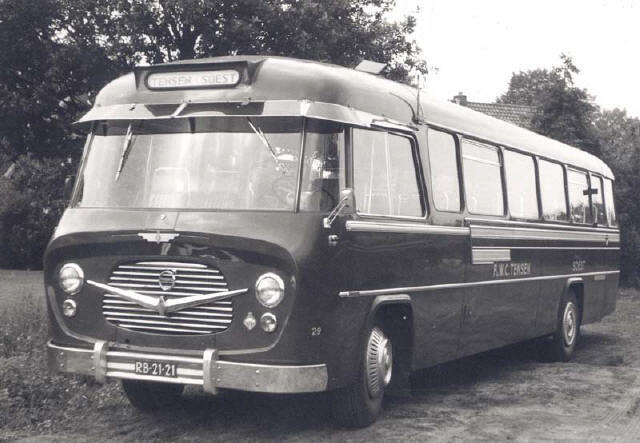 In addition to public transport was also very active in the coach transport Tensen. 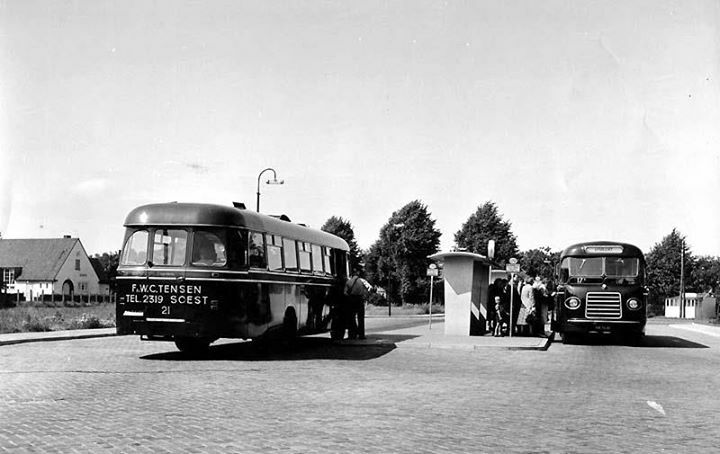 After the liberation fleet had to be built almost from scratch, but in 1946 the service was run on the lines of Amersfoort and Baarn-soestdijk-Soesterberg on the pre-war level. 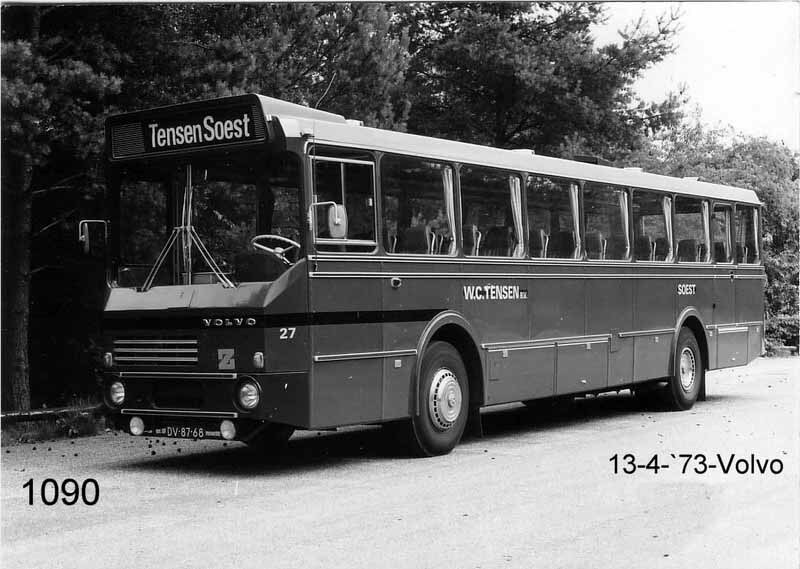 In order to be stronger in front of the ambitions of the neighboring NS-daughters NBM and VAD founded T. with three fellow companies in 1947 the partnership Stichtse transport enterprises (SVO) on. 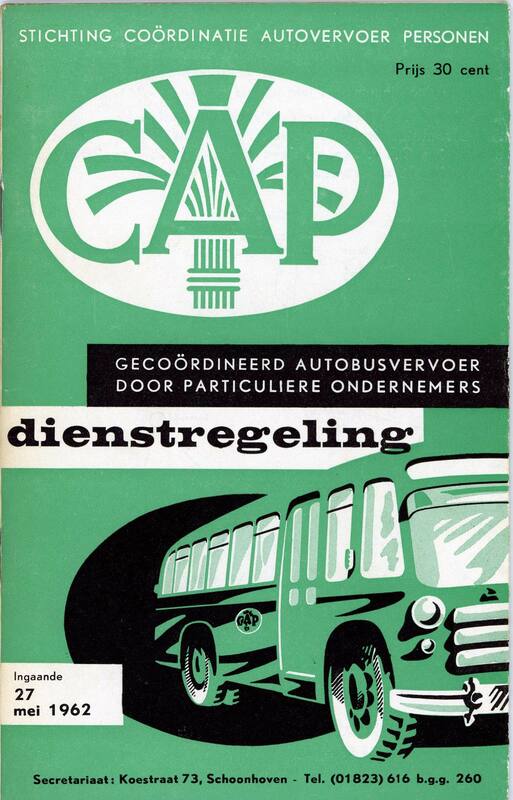 This went though in 1948 on car transport Coordination in the Foundation people (CAP). 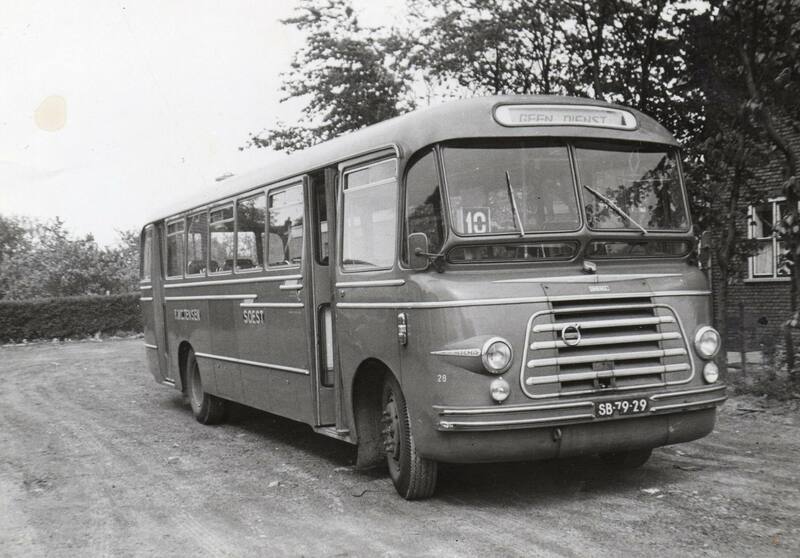 It had eleven transport companies from the provinces of South Holland and Utrecht United. 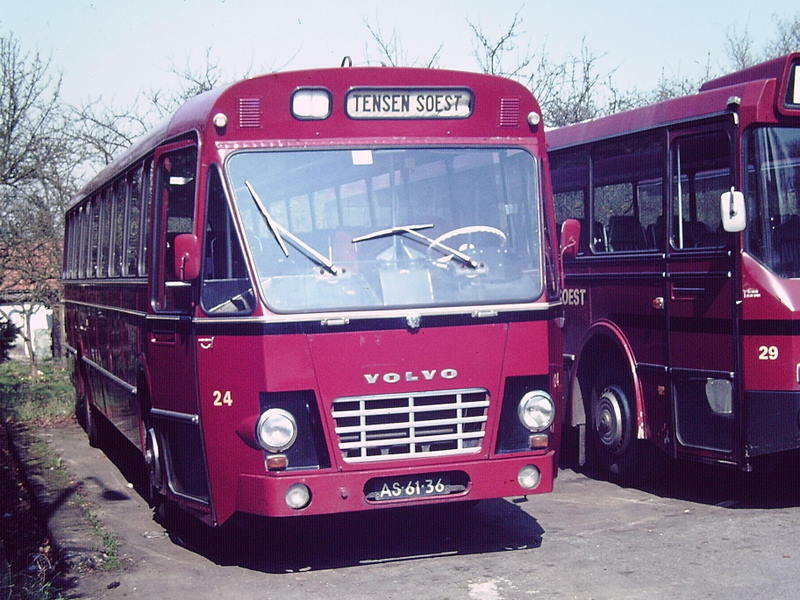 The participants retained their own independence and corporate identity, but showed the CAP logo on the stops and initially also on the buses. 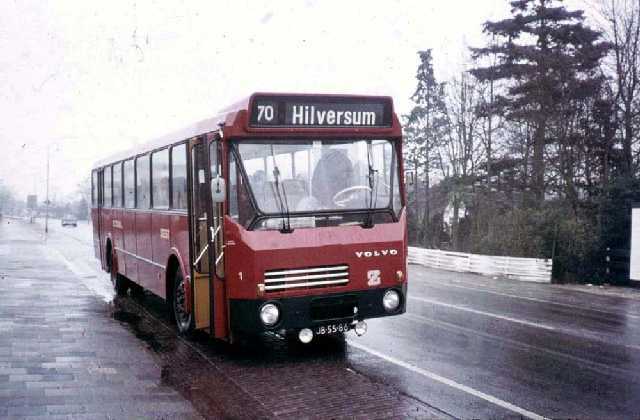 The cooperation was visible through a common dienstregelingboekje and issuing a day ticket which was valid on all lines of the affiliated companies. 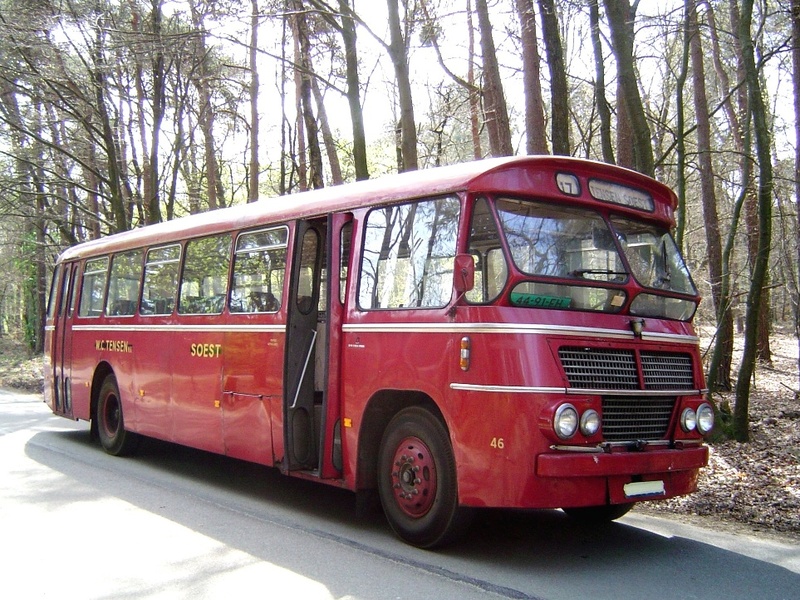 Later came a route via Lage Vuursche at. 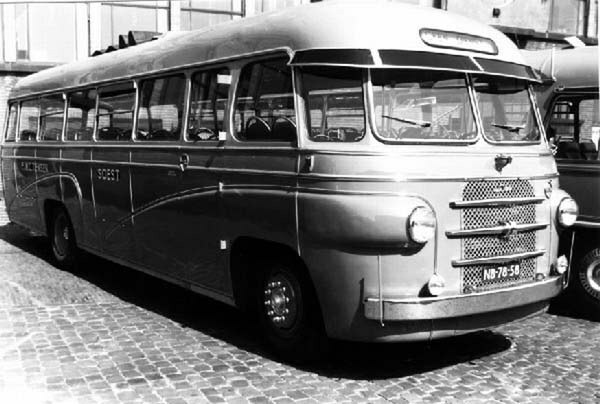 In 1948, the death year of the founder, became by the line bushings 340,000 down and 1,240,000 passengers. 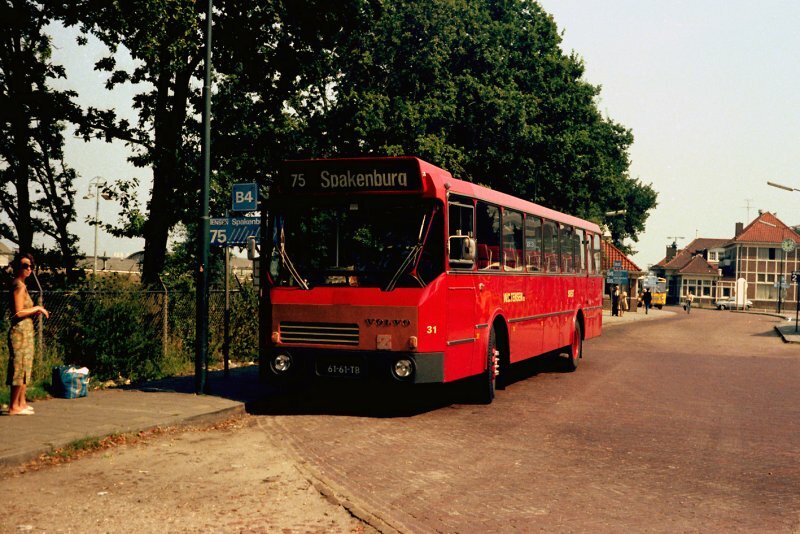 On 1 april 1959 was the network of lines with three lines of spakenburg to Amersfoort and Bunschoten, Baarn and Nijkerk. 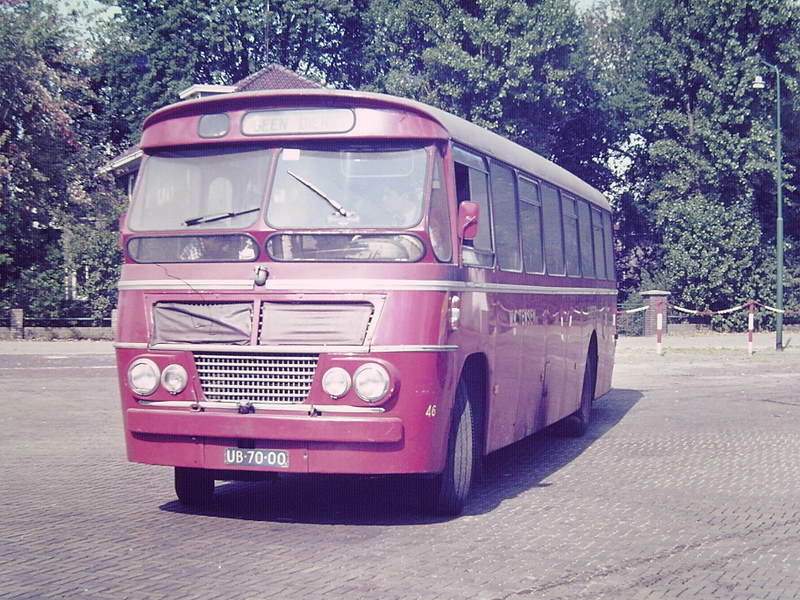 This happened as a result of termination of the company of CAP-participant j. dijkhuizen in spakenburg. 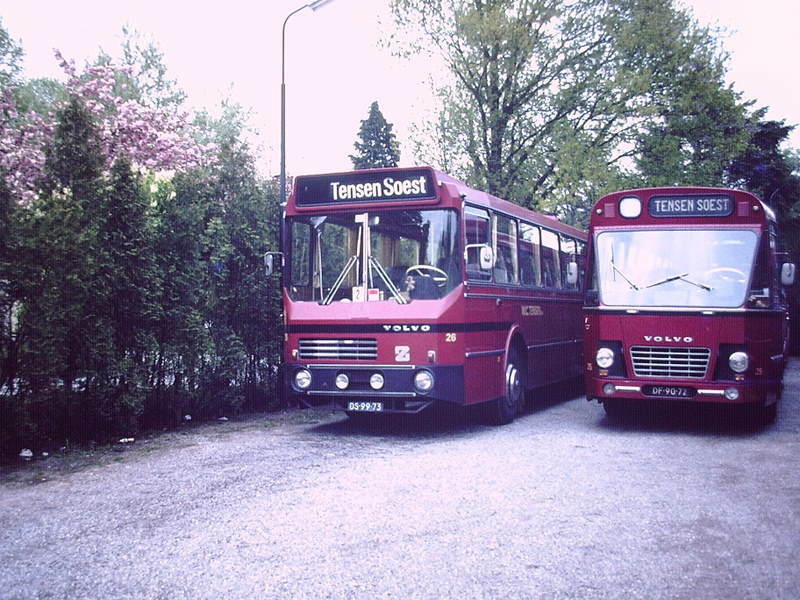 From 1 June 1958 had Tensen already on Sunday the line spakenburg-Amersfoort maintained, because in principle to respect Sunday as a day of sanctification dijkhuizen wished. 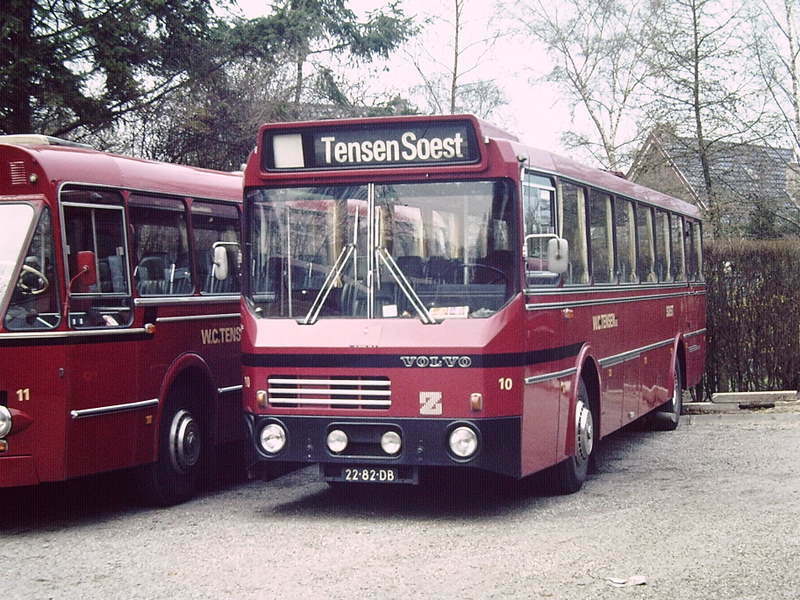 In the 1960s and 1970s also began at Tensen (as with most Dutch regional carriers) the revenue back to run, both in the tourist sector and in the shipping service. 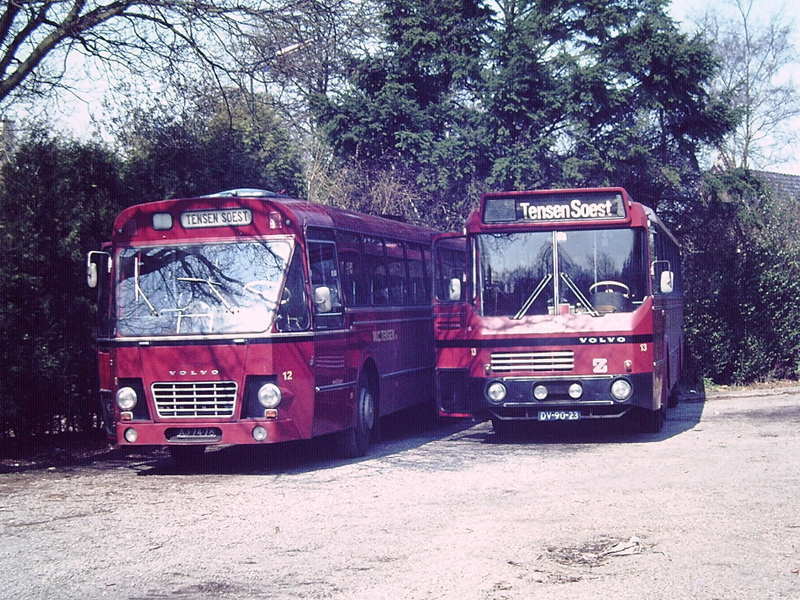 This was caused by declining passenger numbers and explosive rising labour costs. With the national Government arose disagreements over the explanation of the hesitant on getting grant schemes with which the losses were covered. 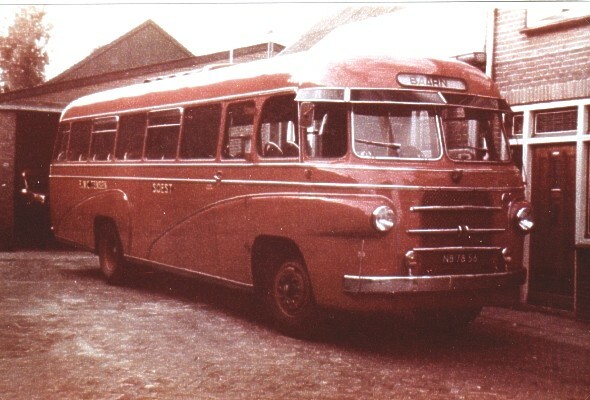 Many private bus companies sold their company to the NS. Several participants also did this to the Foundation CAP. With which this Foundation strong to force lost and in 1968 was dissolved. 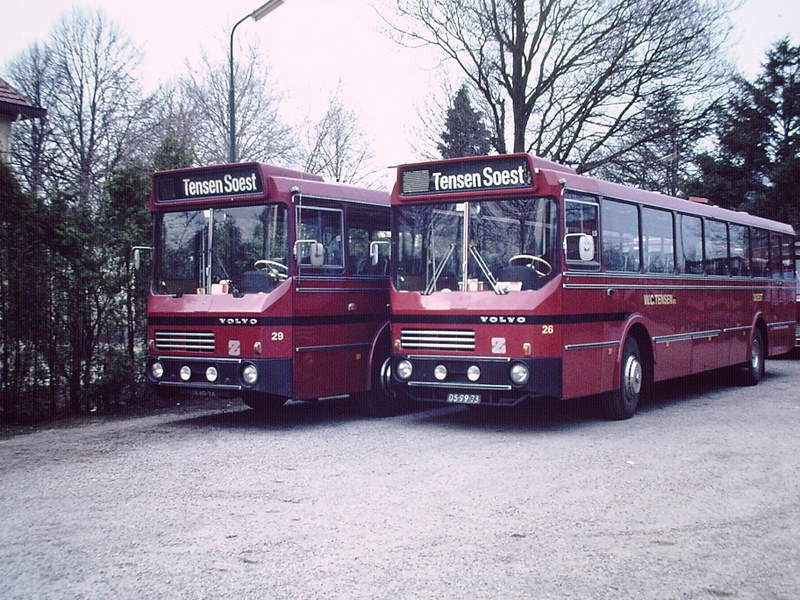 Eventually the family business was also T. per 1 January 1980 sold to NS. This divided the transport area between her daughters. 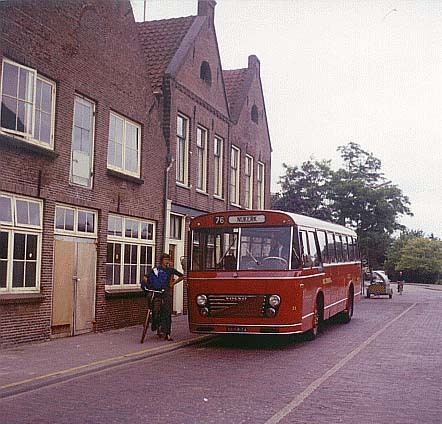 The western part was assigned to Central and the eastern part around spakenburg to the VAD. Also the T.-personnel by both companies was retrieved. 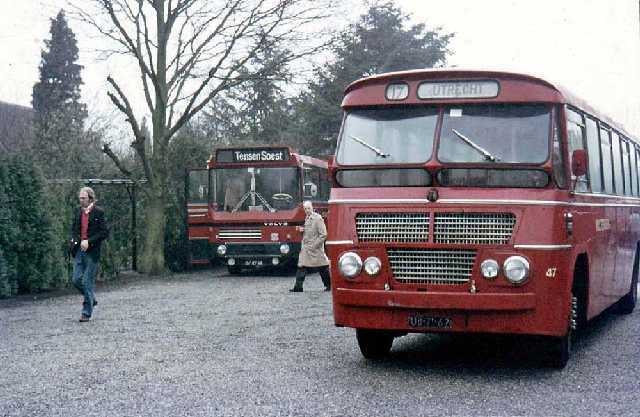 The buses went exclusively to the VAD. 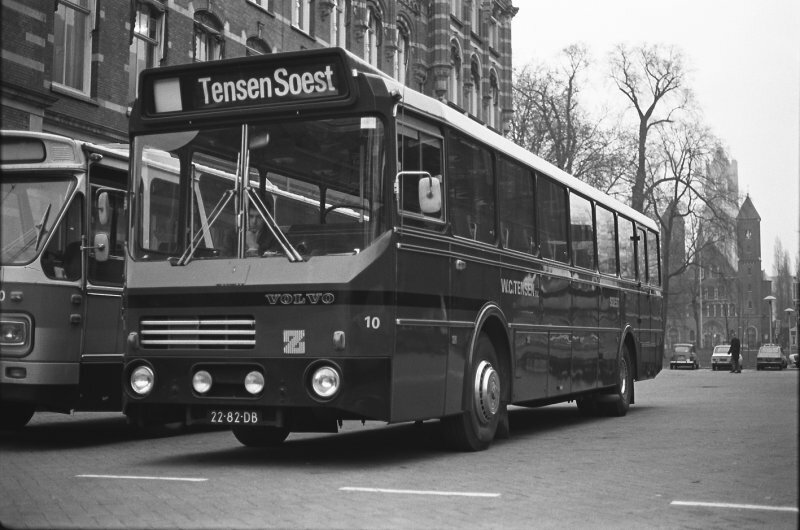 Aangezien ik veel met de bussen van Tensen ben meegeweest, weet ik dat ze in de jaren 60 een van de eerste bussen hadden met automatische versnelling. 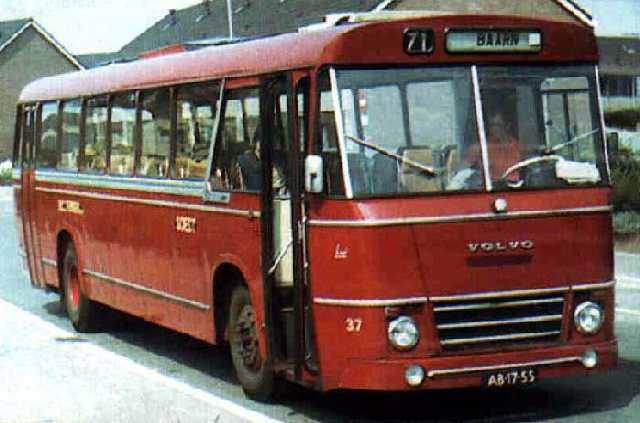 Was een kleine bus , no 44. 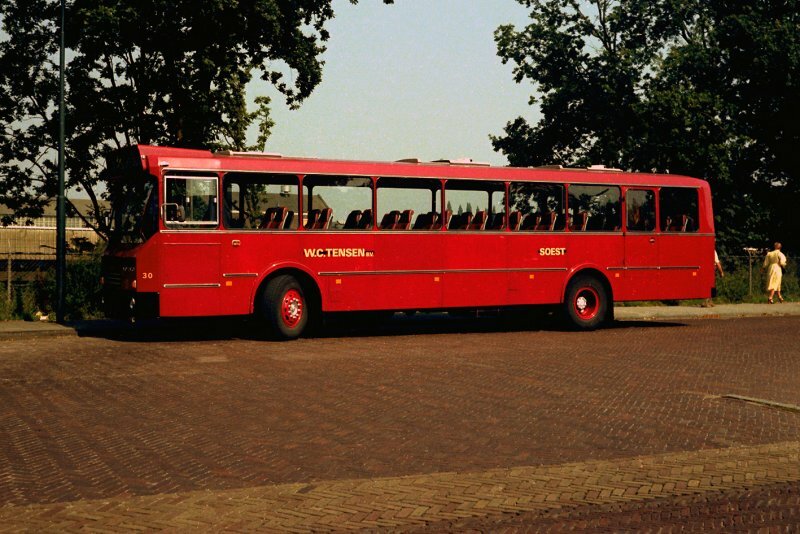 Was altijd wat mee. 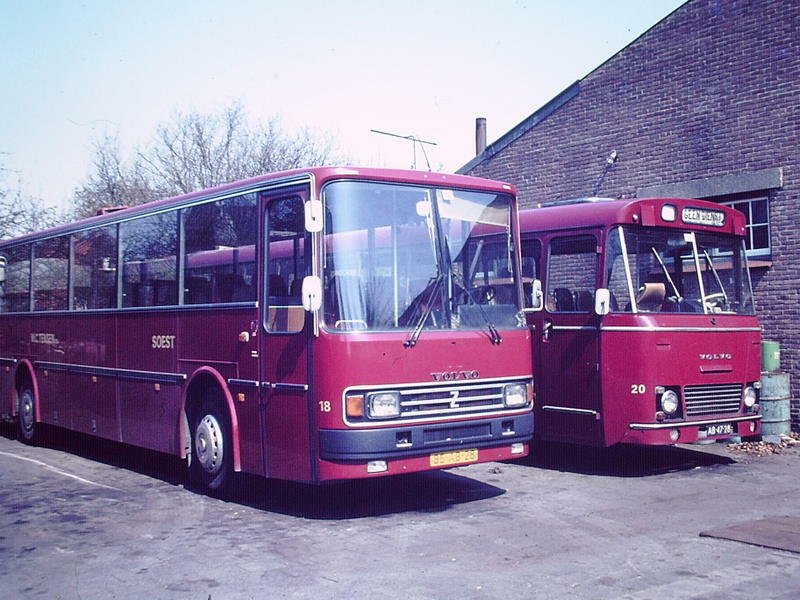 Stond meer in garage dan dat er mee werd gereden.Heb je daar nog gegevens van? 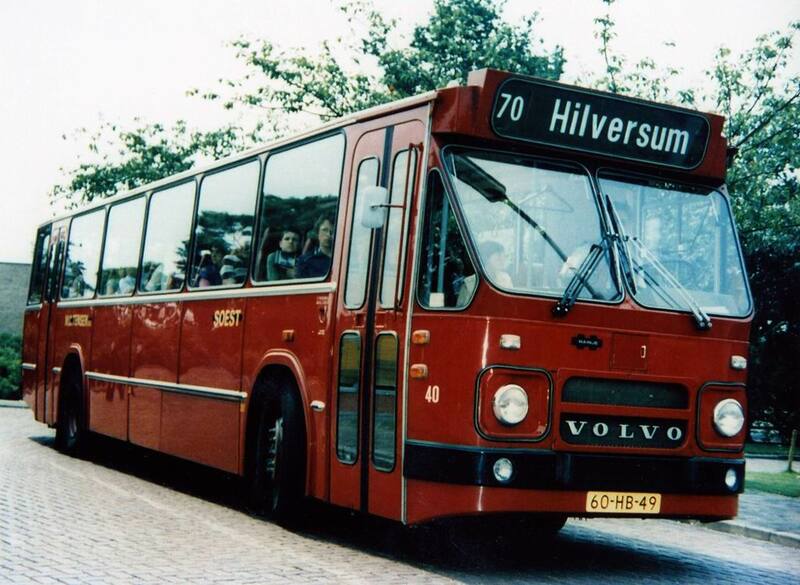 Helaas heb ik niet meer info over deze bus. Sorry. 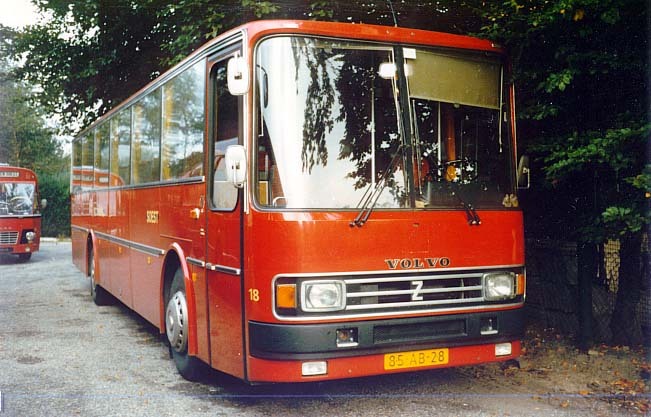 Groeten.